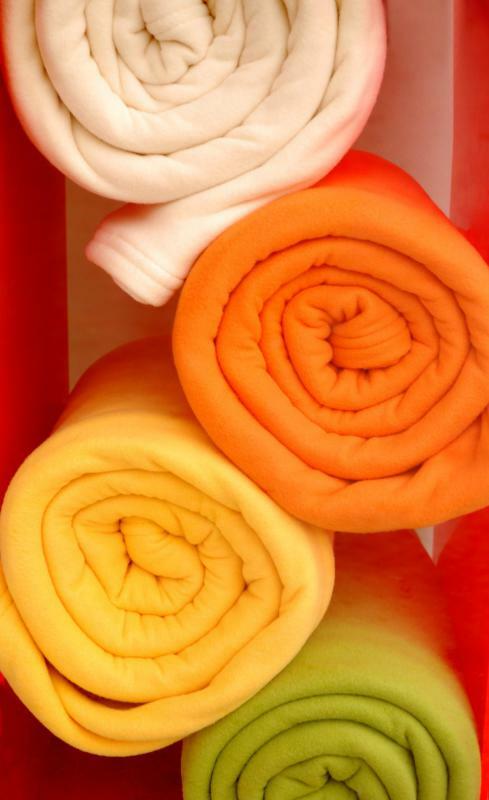 Plastic bottles can be recycled and used to make fleece blankets. Recycled plastics can be turned into many items such as motor oil and detergent bottles and pipes and pails. 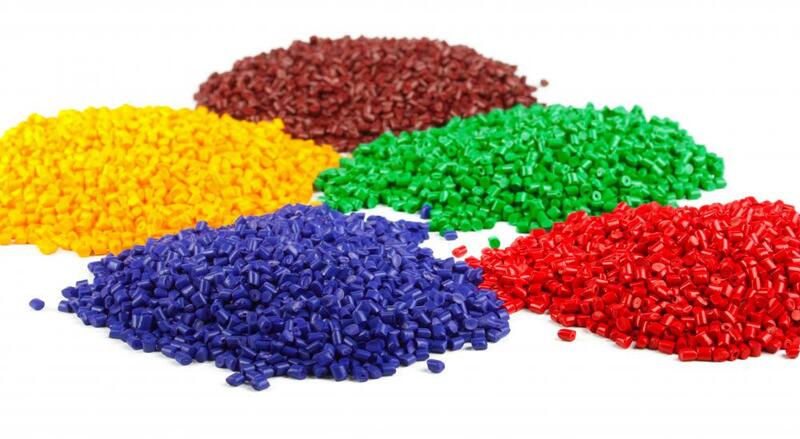 Plastic pellets, which are melted down to make bottles. Water bottles produced from bioplastics have extremely short life cycles. Many plastic bottles typically end up in landfills. Plastic bottles are made with crude oil that has been fractionally distillated. Many of the plastic bottles found in grocery stores and vending machines are made from polyethylene terephtalate plastic. Some bottling companies order bottles that are ready for use. Being aware of the manufacturing process behind plastic bottles can encourage consumers to think carefully about how to dispose of them after usage. Plastic bottles are used to package a wide variety of things, from juice to soft drinks, and they play a ubiquitous role in the lives of many consumers, along with other plastic products. With a growing awareness of the environmental issues which surround plastics, many people have become interested in the life cycles of plastic products, from manufacturing to eventual disposition in a landfill or recycling facility. Being aware of the process behind the production of plastics can encourage consumers to think more carefully about how they use and dispose of such plastics. Because plastic bottles are a very visible form of plastic use, they make an easy target for activism and education. The life cycle of a plastic bottle starts, obviously, with the creation of the plastic used to make it. The vast majority of bottles are manufactured from petroleum, some of which comes from deposits as much as three billion years old. Some manufacturers use bioplastics made from plant materials to create their bottles, out of concern for the environment. 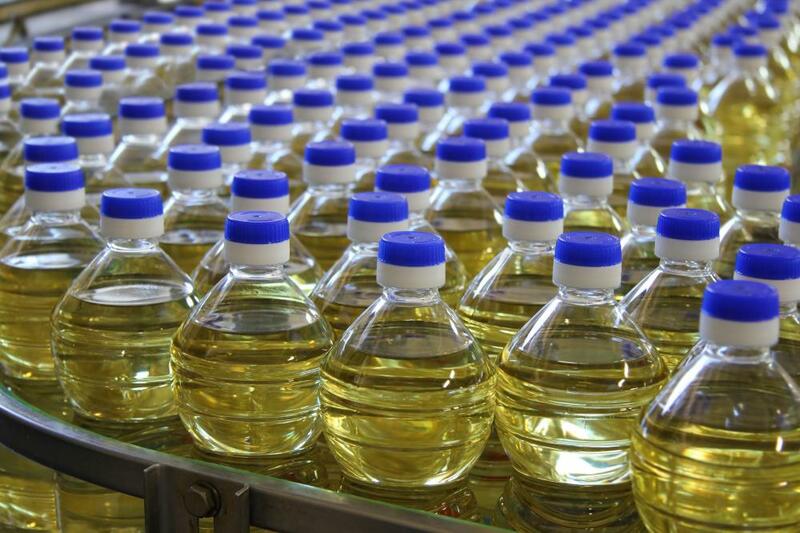 In the case of a bottle made from petroleum, the oil must be extracted before being shipped to a processing facility and then distilled to separate out the various hydrocarbons it contains. Oil extraction is performed all over the world in a variety of locations, and it has a number of environmental impacts. In areas where oil is drilled from the seafloor, for example, oil spills are common, and regions like the Middle East are famous for their heavily polluting oil fires, caused by intentional or accidental combustion of oil fields. In some nations, oil extraction is also bound up with a number of social issues. Nigeria, for instance, has an oil industry notoriously plagued with problems; oil workers are often poorly paid and exposed to very hazardous conditions, and periodic devastating fires along oil pipelines are not uncommon. Once oil has been extracted, it is typically moved into container tankers for shipping to refinery facilities. 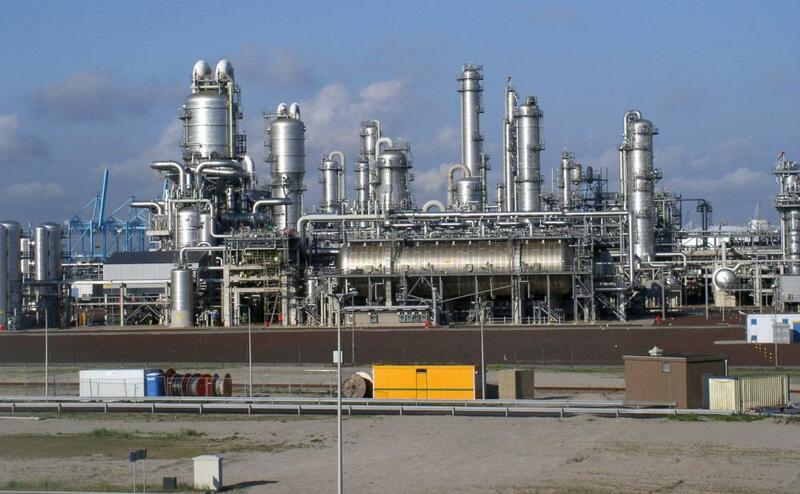 At a refinery, the oil can be submitted to a variety of distillation processes, such as fractional distillation, where the crude oil is heated, causing its various components to separate so that the refinery can make gas, fuel oil, plastics, and a variety of other products. Crude oil can also be “cracked” with chemical catalysts to generate hydrocarbon chains of a desired length; this practice is common, because demand for various petroleum products constantly fluctuates, and cracking ensures that oil is used extremely efficiently and generates the maximum possible profit. Most plastic bottles are made from polyethylene terephtalate (PET) plastic, and almost all water bottles come from virgin plastic; an estimated 30% of the world's PET goes into these bottles. The plastic is made by mixing hydrocarbons extracted from crude oil with chemical catalysts, triggering polymerization. Next, manufacturers produce plastic pellets, which are melted down into “preforms,” which look like small test tubes; the preforms, in turn, can be heated, causing them to expand and turn into conventional water bottles. Typically bottling companies order preforms, expanding the water bottles at their own facilities as needed. 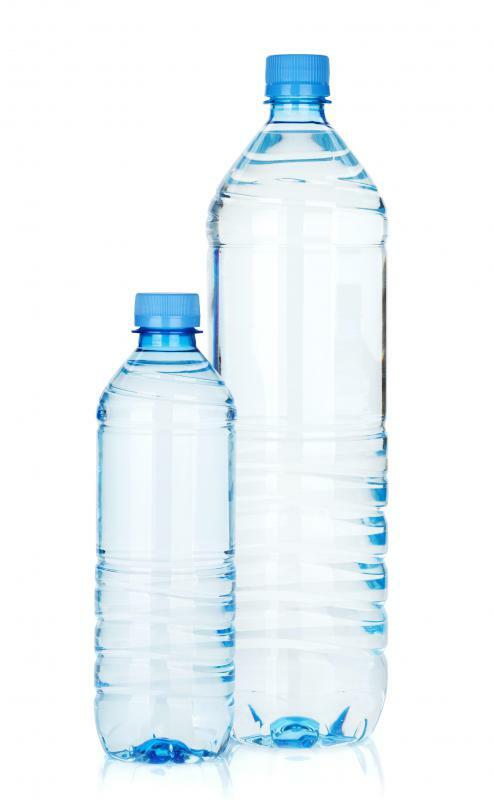 Water bottles produced from bioplastics are made from plant materials which are processed to form polymers. Bioplastics are believed to be better for the environment, since they do not require the extraction and handling of crude oil, a non-renewable resource, and companies which manufacture them often try to use the best possible environmental practices. Furthermore, bioplastics decompose rapidly; the life cycle of a plastic bottle made from bioplastic is extremely short. In fact, some bottles made from bioplastics will even start to deform and leak if they are kept on the shelf too long. However, bioplastics are not without environmental issues. The production of such plastics requires dedicating large areas of farmland to the production of crops for plastics, rather than food, and these crops eat up a great deal of water, fuel, and other resources. Bioplastics must also be manufactured with the assistance of a variety of chemicals, and, like regular plastics, they require shipping to an end destination, consuming more fuel along the way. Because they are designed to be disposable while still being relatively environmentally friendly, some activists fear that they may also distract consumers from more environmentally friendly choices, like reusable glass and metal containers. 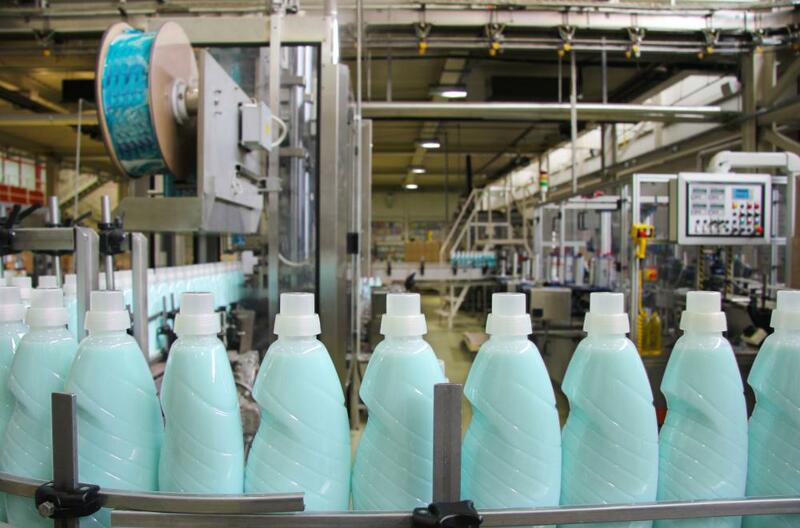 Depending on the size of a bottling plant, a company will either order preforms and use them as needed, or it will order plastic bottles which are ready for use. The bottles must be sterilized so that they are safe for beverages, and then they are filled, capped, labeled, packed into cases, and prepared for shipping. At this stage in the life cycle, the bottle could end up in any number of places, from a relief camp for refugees to the shelf at a high-end supermarket. One distinct advantage to plastic bottles, in the eyes of manufacturers, is that they are extremely sturdy, making it much easier to ship beverages in plastics than glass, cardboard, metal, and other containers. These bottles are also extremely lightweight, with manufacturers constantly coming up with new ways to use less plastic in their containers to cut down on the cost of production and shipping. Shipping materials in lightweight materials is also good for the environment, as it cuts down on fuel costs. Once a PET plastic bottle ends up in the hands of an end-consumer, it has three possible fates after its contents have been consumed: it may be reused, recycled, or thrown away. Despite the fact that most bottles are made from PET plastic and this plastic is very easy to recycle, recycling rates for these bottles are actually very low, globally. Anywhere between 15-35% of plastic bottles make their way into recycling facilities, depending on the region, with the rest ending up in landfills or as litter. Some countries have attempted to address the low recycling rate with incentives, but because they are cheap and easily accessible, many of these programs have not worked. Many people believe that re-use, followed by recycling, is the best use for a plastic bottle. PET plastic can be reused, although people should avoid using it to contain hot or corrosive materials, and they should take care to wash such bottles out carefully. These bottles can be very hospitable for bacteria, thereby potentially causing a health risk for people who drink from them. After a bottle has been reused as many times as possible, it should ideally be recycled. 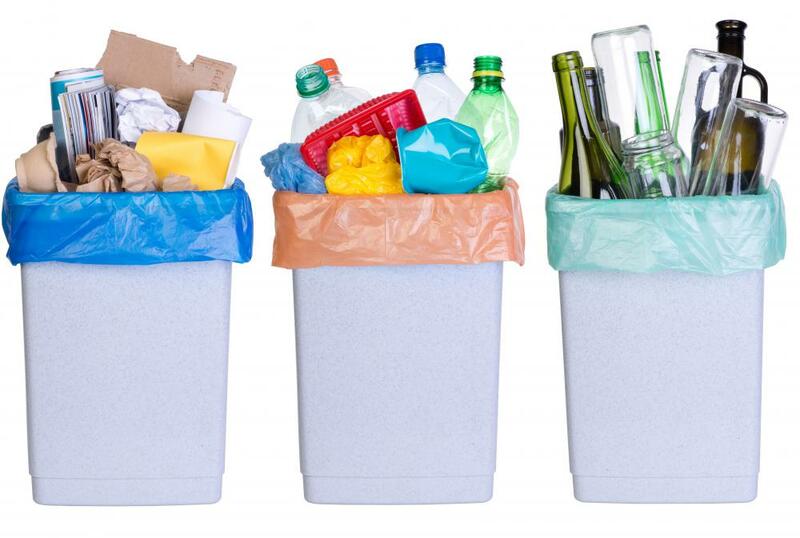 In recycling, plastic bottles are shredded into chips which are then sterilized and sold to companies which produce products made from recycled plastic. This stage in the life cycle can get quite interesting, as these plastic chips can be used for everything from fleece blankets to artificial lumber. Many products which are made from recycled plastic clearly indicate this, for consumers who would prefer to promote the use of recycled, rather than virgin, plastics. When a plastic bottle enters a landfill, it can take hundreds of years to decay, and it can have a profound environmental impact. The route to the landfill is often quite long, as bottles are a very common form of litter around the world, requiring volunteers or government agencies to collect such bottles and bring them to a facility for recycling or other forms of disposal. As plastic bottles decay, they take up precious landfill space, and some leach harmful chemicals into the ground, potentially polluting the soil and water. Because landfills are so tightly packed, some scientists are concerned that the rate of decay in landfills could be even slower than previously surmised, as the conditions are not optimal for breakdown. 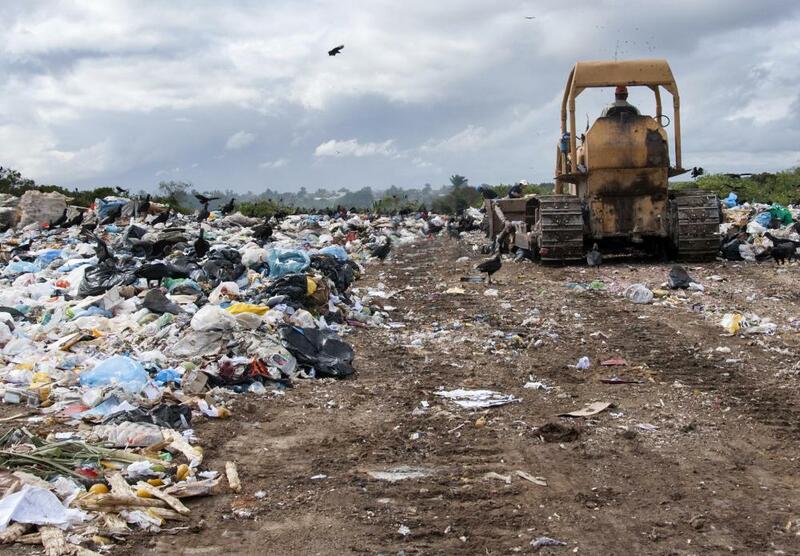 Landfills in general pose a serious problem in many parts of the world, as they contain a broad mixture of items which could potentially be recycled, including precious metals, along with potentially dangerous and toxic products. Plastic bottles take up an alarming amount of landfill space, especially when one considers that they shouldn't be in landfills at all. Not all discarded plastic bottles make their way into landfills, either. The world's oceans host a steadily growing collection of plastics, most notably in the Great Pacific Garbage Patch. These plastics come from litter, poorly secured landfills, spilled shipping containers, and a variety of other sources, and they take centuries to break down, even assisted by corrosive saltwater and UV radiation. The proliferation of plastics in the world's oceans poses a serious threat to many marine organisms, and some scientists are concerned that, rather than breaking down entirely, plastics actually break down into very small segments which could potentially be consumed by microscopic organisms. This could have serious environmental repercussions, as such organisms are not equipped to digest plastics. Therefore they could die in mass numbers, or be consumed by animals higher up the food chain. This could potentially cause such predator organisms to accumulate a variety of the hazardous substances used in plastic production, leading to a breakdown in the health of the world's oceans as well as impacting the health of animals (including humans) which use these organisms as a source of food. In the case of plastic bottles manufactured from bioplastics, the life cycle is quite a bit different. Many such bottles are designed to be disposable, and they will quickly compost under the right conditions, typically those found in a municipal composting facility, rather than a home compost heap. When composted, bioplastics simply return to the Earth; when such plastics end up in landfills, they will also break down, although the decay process may take longer, due to the lack of aeration in landfills. Do Messages in Bottles Ever Get Found? Is Martian Soil Hospitable to Animal and Plant Life? How Much of a Global Health Risk Is Pollution? How Many times Can a Glass Bottle Be Reused? Is Coca-Cola Being Sold in Bottles Made from Ice? What Happens in a Plastic Factory? Thank you so much! this was very interesting and a much needed helping hand for a big homework project. This article is full of in accuracies, errors and misunderstandings. It confuses fundamental principles such as bioplastics and biodegradable plastics. The author clearly does not understand that bioplastics are made from the waste products of crops such as sugar-cane - and crops are not specifically grown for this purpose. I can only conclude that the authour is seriously ill-informed or extremely biased. If you want to quote anything from here I'd make sure you verify facts first or you will end up with egg on your face! Thanks for this interesting article. Just wondering where you got the 15-35 percent recycling statistic from? I would like to reference it in an article I'm writing, but need to know where you got it. Thanks! So are Reusable Water bottles safe? I've been hearing exaggerated articles that say they are dangerous. Is it possible i can get books on life cycle analysis for recycling? please your answer will be appreciated. This is a great article. It's interesting that we are all upset about the BP oil spill but everyone discards plastic bottles that are made from petroleum. I for one don't buy soda or bottled water. My family uses a water ionizer and reusable bottles for drinking. It's good for the environment and good for our health. Interesting information, well presented. However, everyone really needs to stop with the 'Global warming' crap - when plastics were originally designed the company made them biodegradable. It was the companies who ordered the research into new containers who didn;t follow this. Though, even still, it's not going to destroy the world. I think this article should be more wide spread, such as on the news or in newspapers. I love your site. Knowing what I know now about plastics, I'm doing whatever I can to help. I recently produced a new reusable grocery shopping bag made of the strongest reycled PET fabric to date. It's called the EZGroceryBag. It is important for people to know that recycling and producing plastic bags is a terrible habit that negatively effects our environment, our water supply, our wildlife and degrades our natural resources. I created a better choice for America in a convenient new everyday shopping bag because when you are done with it, you can roll it up and store it away neatly for your next use. It's simply smart. I don't know why the plastic bag industry doesn't just step up to the plate and create bio-degradable bags made of corn or something. The more they make, the more resources we lose, and the more we pollute the earth. It just doesn't make sense. what is it made out of, please? I hope you realize that plastic actually doesn't break down. If it did, there wouldn't be as high of a concern for it being in landfills. I'm a college student in an environmental science class, where we are learning about plastics and the fact that they don't decompose or break down. Also, when they are sent to incinerators and burned, they release hazardous toxins into the environment. Just thought you should know. Do you have info on the benefits of the PLA or plant based bottles you referred to? i would love to have a side by side comparison. please let me know the mechanism of plastic degradation.